Kabul Bukhari is proceeding towards his goal of being a versatile singer by singing the different languages with different genres. Undoubtedly he is becoming successful in his journey of music and audience are appreciating his work with warm welcome to his every new release. Of course every hardworking and passionate artist should get the response to its expected benchmark. He will be seen with some new colours of songs in different languages all over India. 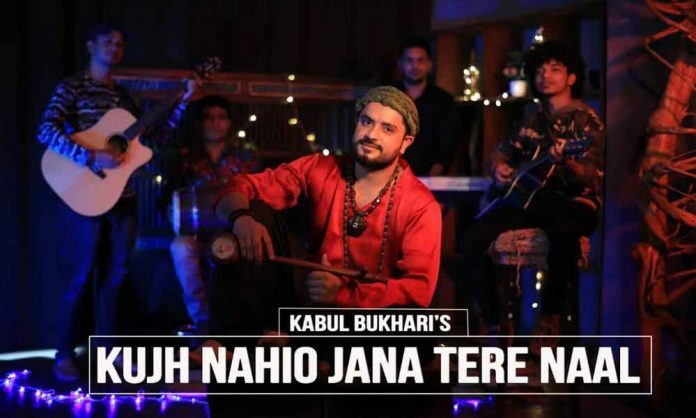 His passion for promoting different languages and different music of Jammu and Kashmir is appreciable and this is a positive aspect of Jammu and Kashmir where all the people are concerned about their critical circumstances but at the same time new artists like Kabul Bukhari are doing their best to pass a peaceful message to all with their own renditions of their soulful music. Kabul Bukhari is one of the leading artists of the date. We can see the love of people towards Kabul Bukhari from feedback on his videos on YouTube and other social media by their comments. People expect Kabul Bukhari to sing each and every language spoken in Jammu and Kashmir as well other states of India. Mostly his Kashmiri songs/videos are being listened and watched through out India as well as abroad just because of his new renditions. People who even don’t understand the languages spoken in India also love to listen his songs because they love his melodies and compositions. Looking forward to have much more from his soulful voice.